What’s wrong with GM crops? Spanish civil society groups Friends of the Earth Spain, Access Info Europe and Greenpeace have taken legal actions to claim for transparency on GMO cultivation. Spain has been growing GM-crops since 1998 with a complete lack of transparency and control. Up to now in Spain failed to organise public register for GM fields (as mandatory in the European law 2001/18), so organic and conventional farmers cannot tale measure to protect their fields against contamination with GM crops. Farmers also haven’t any chance to take legal actions when contamination happens. Continue reading >> "Legal fight to declare location of GM field"
Continue reading >> "Hier geht es um viel Geld"
In Italy, the issue of GMOs has in fact given rise to a phenomenon of active resistance in defense of an agricultural culture rooted in farmers’ knowledge and in the quality of food. To date in Italy, GMOs are only present in transgenic soya imports that end up hidden in livestock feed. In the link below you can find an interesting report on the history of the Italian Network of GMO-Free Organizations. Continue reading >> "History of the Italian GM-free movement"
This website and film present some of the dangers of GM-crops, and call for people across Europe and beyond to take action to stop them. We need a future of food and farming that benefits people and planet, and not the pockets of big business. 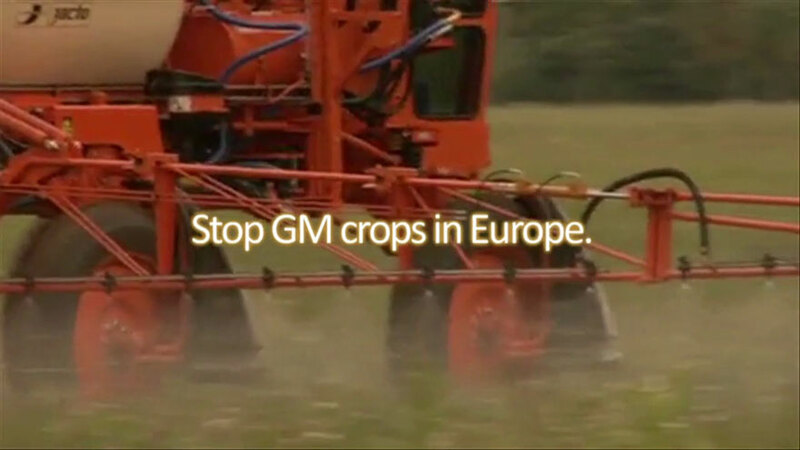 We need to stop GM-crops from spreading across Europe. You can sign up for updates and alerts opposite.